The lighting restoration department at Greenwich Metal Finishing is operated by a team of skilled experts. Metalcrafters, polishers, and electrical technicians work together to provide precise lighting restoration services for both residential and commercial spaces. 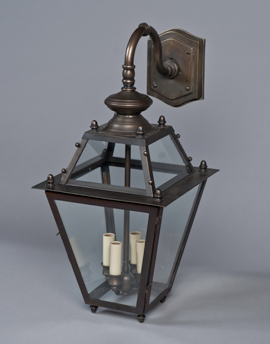 While vintage lighting fixtures are one of our passions, we also excel at the restoration of contemporary and modern fixtures. Greenwich Metal Finishing’s services encompass accessories like socket covers and finials to assure complete and total restoration. We are keenly attuned to the fragile nature of lighting fixtures and craft custom wood crates to protect your piece. Our shock-absorbing crates provide extra protection to both delicate crystals and metal armature. For a free estimate, email Greenwich Metal Finishing a digital photo along with dimensions. Pickup, delivery and installation services are available within Fairfield, Westchester, and Putnam counties, New York City, Northern New Jersey, and Long Island.